Maybe your goal is to find the ‘‘New World’’ as Christopher Columbus did. Maybe your goals are more modest, exploring the coastline of a foreign country la Verrazano. 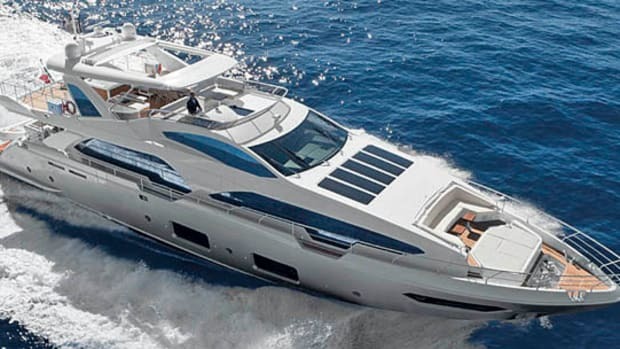 No matter your seafaring aims, the newest launch from Italian designer Sergio Cutolo, the Darwin 86&apos;, will give you the opportunity to find new worlds just the way the Italian explorers did hundreds of years ago, only this time with upgraded speed, power, and comfort. 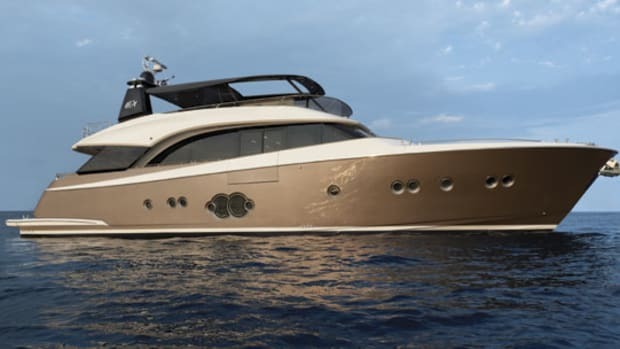 Built by Cantiere Delle Marche, the 86&apos; employs a specially designed steel hull which promises to achieve high top-end speeds for a boat her size, without sacrificing range, according to her builder. 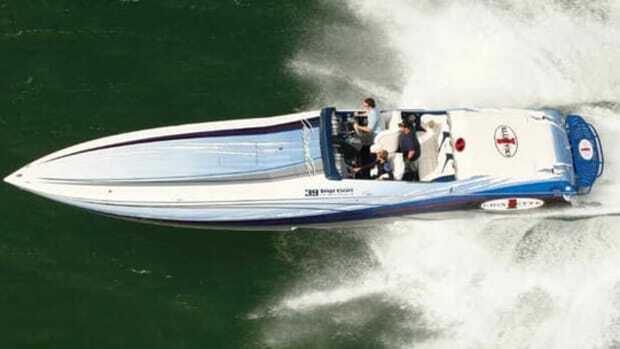 Early tests show that the vessel will have an impressive range of 7,000 miles at 11.5 mph. 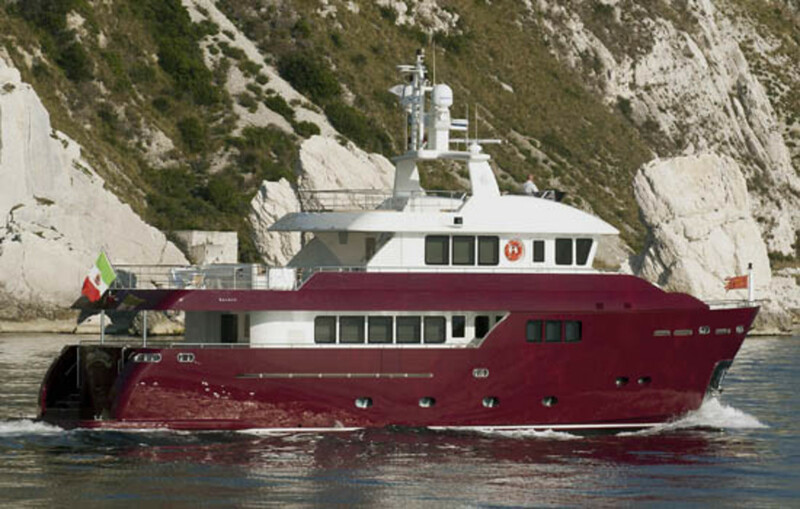 (Her design is the synthesis of Cutolo’s experiences with smaller expedition-type vessels.) 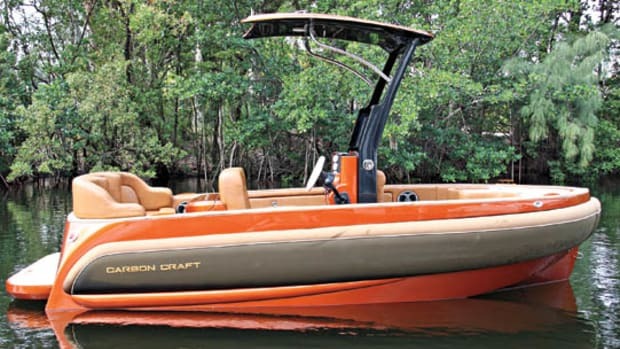 With twin 382-hp Caterpillar diesels, the 86&apos; maxes out at just faster than 13 mph. 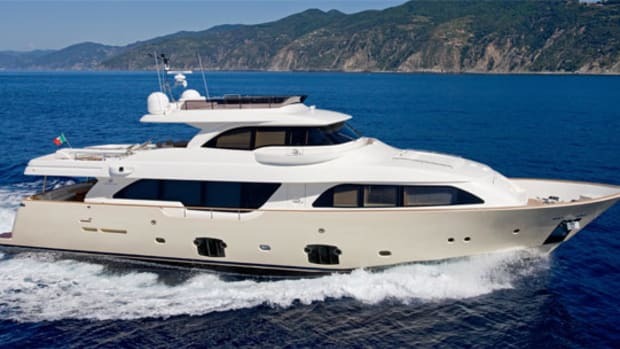 Although her businesslike external lines were clearly inspired by workboats, you won’t be sacrificing any onboard luxury. 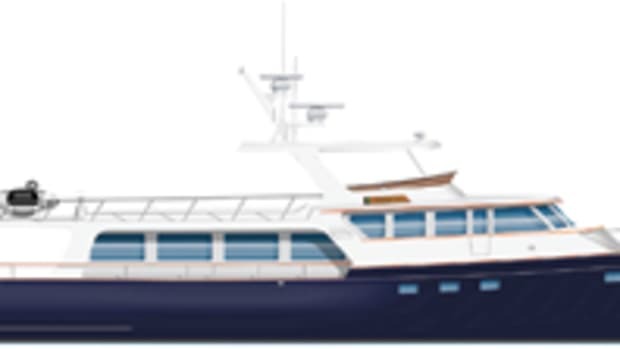 She can comfortably sleep eight guests in four cabins and provide ample interior and exterior space for any activity. 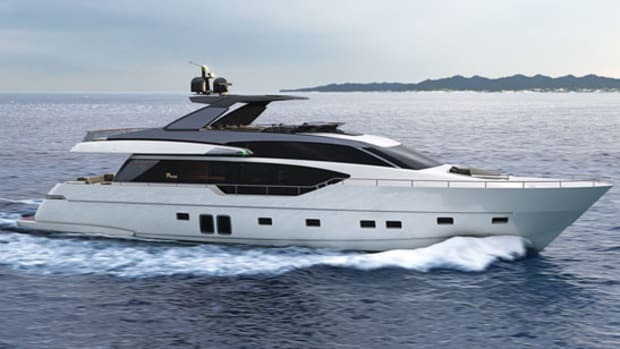 The Darwin 86&apos; is Cutolo’s fourth launch in just a two-month span. 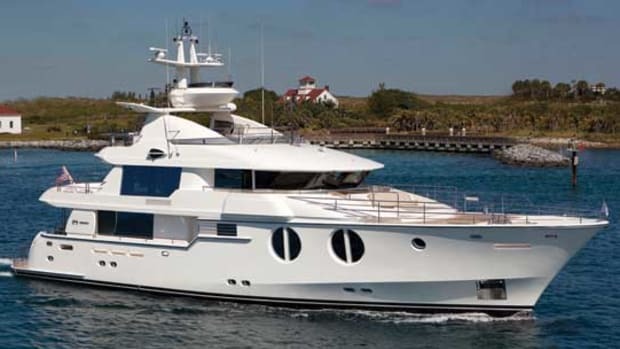 Before her came Aifos by CBI Navi, Talisman C from Proteksan Shipyard, and O’Pati for Golden Yachts. 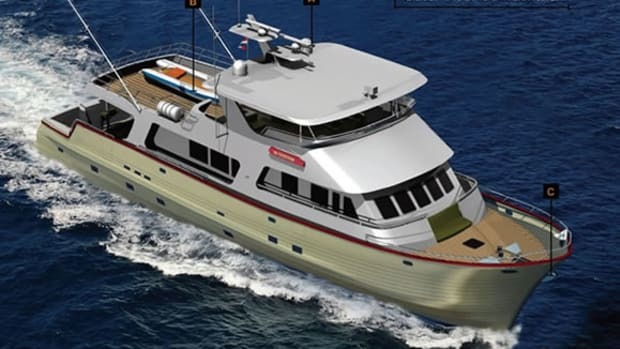 Cantiere Delle Marche is currently building a second Darwin 86&apos;, which is scheduled to be delivered before the end of the year.